Are you human?how do you skin so good? i like it and i also love the story behind.it is a real concept and also that you try to make/ that you make something new. your units are all unique, they look all very cool. i love your rhûn stuff. what's about minifactions like khând?i know some german mods, which made minifactions buildable on economy_plots, so it is easy to create own minifactions without making own MF_plots like RA. i would love it to see khând in your cool modification. 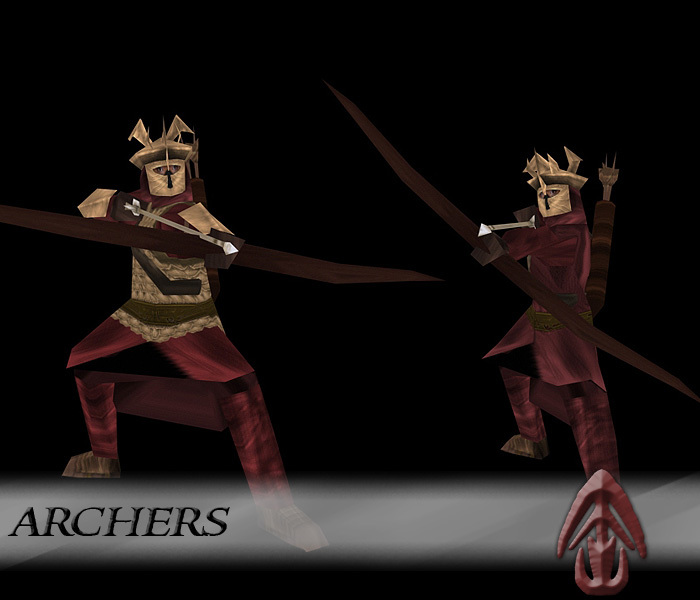 I also would like to see Khand in the mod, besides summoning, but that could create to much units for Rhûn.... and too much work for us..
Well, there's something for you to see... a smallish little update.. Some small modifications to the model too... and totally redone MAPPING! Yes, very fun... totally worth it! oh, btw.... No, I have NOT retired! Edited by Lauri, 21 October 2007 - 12:32 PM. awesome lauri! cant wait for beta! Are the eyes not yours? it's from a pic of an arabic chick..
Looks so awesome, me want to see more. The robe part near the leg doesn't look very good with the armour, but is very, very good(probably would look perfect ingame). Edited by Guess Who, 27 October 2007 - 10:36 AM. 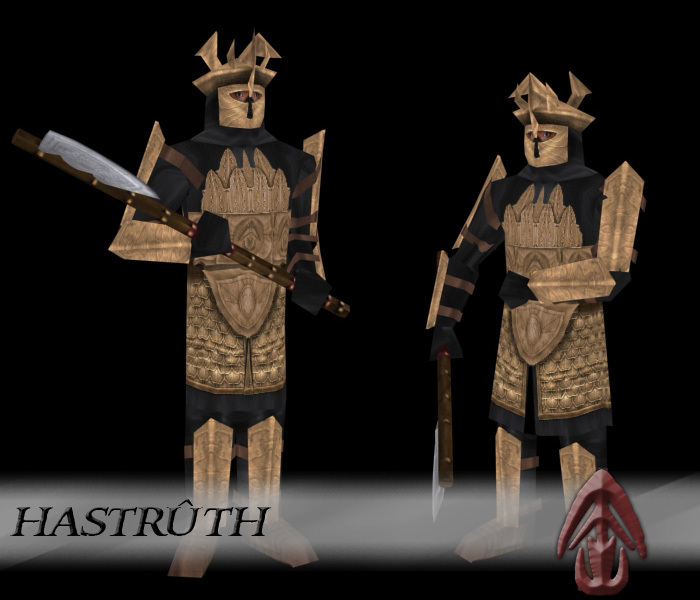 Yes, almost everything in Rhûn will be redone... Everything as in, troops and heroes..
And now, my latest pride..
And except for the axehead, but who's looking. Edited by YodaWarrior, 28 October 2007 - 09:50 PM. btw: what are those anims? cant recognize them...i guess that left and middle one might be gimli's but i am kinda unsure about that.